It’s important to note that I am destroying this ramen as I type this. Destroying as in; eating furiously and almost frantically. This ramen is easily one of the best soups I’ve ever made in my life. I didn’t even make it with my homemade broth and I, honest to god, never thought those words would cross my lips. Instead, made it with Kettle & Fire chicken bone broth. You guys, this was a revelation. I didn’t think making ramen at home could be so easy. Well, I suppose it depends on the type of ramen you’re making. Tonkotsu ramen can take up to 48 hours. Luckily, this shoyu ramen can take as little as an hour total if decided to forgo the optional chashu. Although it is important to note that the chashu is an incredibly flavorful and nicely textured addition. With that said, it is easy to sub the chasu with any cooked meat. I bet smoked brisket would be good, just sayin. I just so happens that I accidentally dipped my hair in the ramen while eating it…love that. I’ve always been a stickler to make broth at home, one of the reasons being that most store bought broth/stock tastes like absolutely nothing. This one on the other hand, is about as good as my homemade broth. I don’t know if my pride will allow me to say that it’s better, but I might go as far to say that. 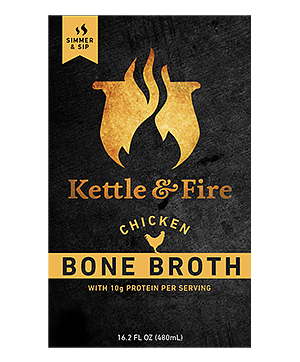 In other words, if you don’t have the time to make chicken broth/stock then please don’t get any other pre-made stock other than Kettle & Fire. That’s my final stance as of right now. I know I sound like an infomercial, but I rarely find products that I like this much and this is my honest opinion. Plus, they take the time to simmer their broth for 24 hours; I think we can agree that not everyone has time for that. 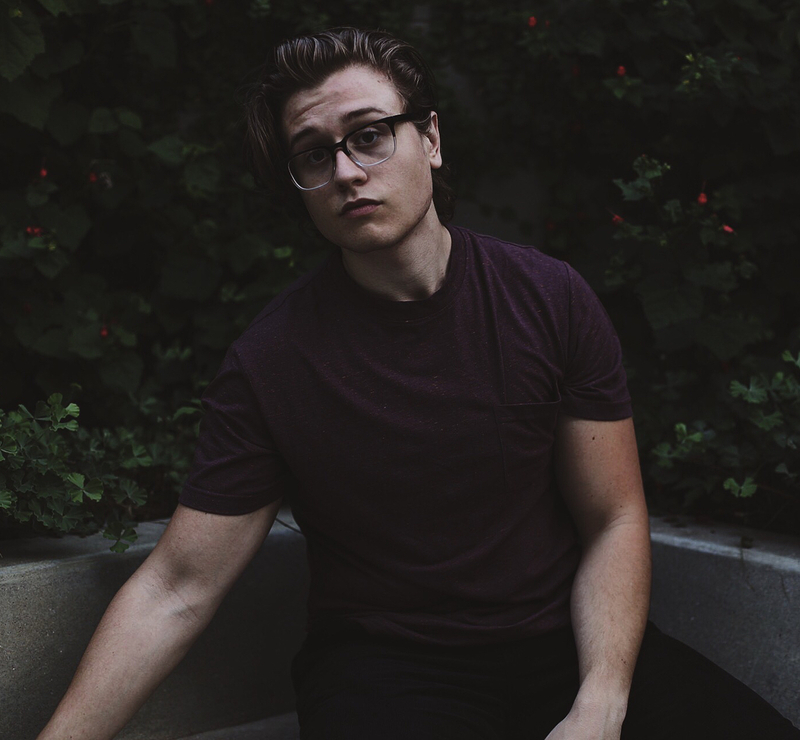 Now that I have you all amped up; let me take you down a notch. This recipe DOES have some specialty items, but I promise they’re possible to find. I got all of the kombu, mirin, and bonito flakes at whole foods. Just go to whole foods, or buy them at a local an asian grocery store (I promise there are likely a couple in your area just a quick google map search will get you there). If you do go to whole foods, I recommend this method: Walk in, cover your eyes when you walk past the kombucha, chocolate, or any other expensive aisle, pick up only the ingredients that are needed, pay for them, and leave. Boom, I just saved your five hundred dollars. Now before I bid you all adieu, I will finish this post with a sprinkling of history and knowledge on shoyu ramen. Shoyu Ramen (shoyu meaning: soy sauce in Japanese) is one of the oldest forms of ramen that is known. 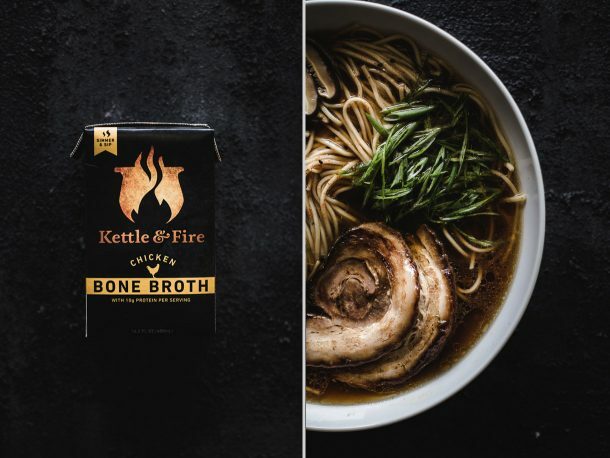 It is supposed to be prepared in a way that it has a clear brown broth, typically with a chicken broth base, that has a high enough volume of soy sauce to add a serious level of flavor depth, without making the broth too rich or heavy. It should be salty, tangy, slightly smokey (from the bonito flakes), and meaty tasting. Shoyu ramen is supposed to have curly noodles, but I prefer and recommend the straight noodles. Your richness level should come from the toppings that are chosen to apply. In this recipe, I’ve given you my favorite array of toppings and how to prepare them in addition to this ramen base. 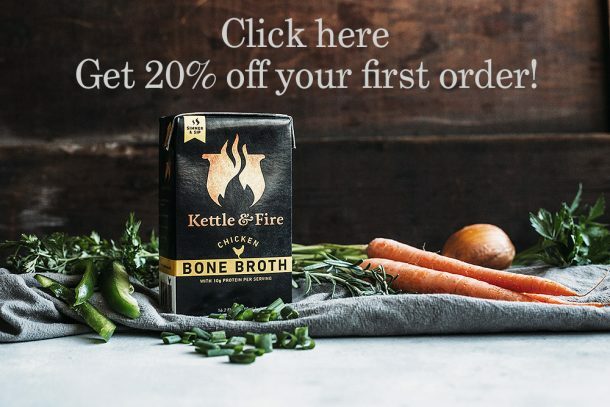 I hope that this ramen class helped motivate you to create this magical soup. I’m going to finish slurping this noodles and I hope you get the chance to do the same. Until next time. 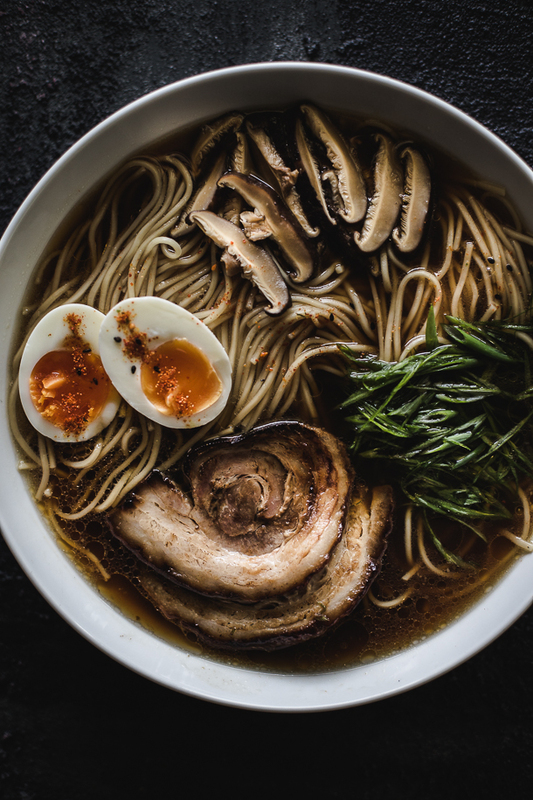 Believe me, I know the ingredient list and directions may be a little long but I promise this shoyu ramen is easy to make yet it tastes just as good as a local ramen joint. If you forgo the chashu you can have this bad boy done in an hour. Your friends will think that you're a ramen master after this. Preheat oven to 275 degree Fahrenheit. Tightly roll your pork belly up into a log, rolling down the longest side to create log like this and tie it off with twine spaced about a ½ inch apart to keep it together. . In an oven safe medium pot or dutch oven add all of the ingredients for the chashu except the rolled pork. Bring that up to a boil and add the pork and place it in the oven with the pot lid slightly ajar for 3-4 hour. Turning the pork over every side to coat, every 30 minutes. Once it's done remove the pot from the oven and let the pork cool in the fridge for a few hours but ideally overnight. 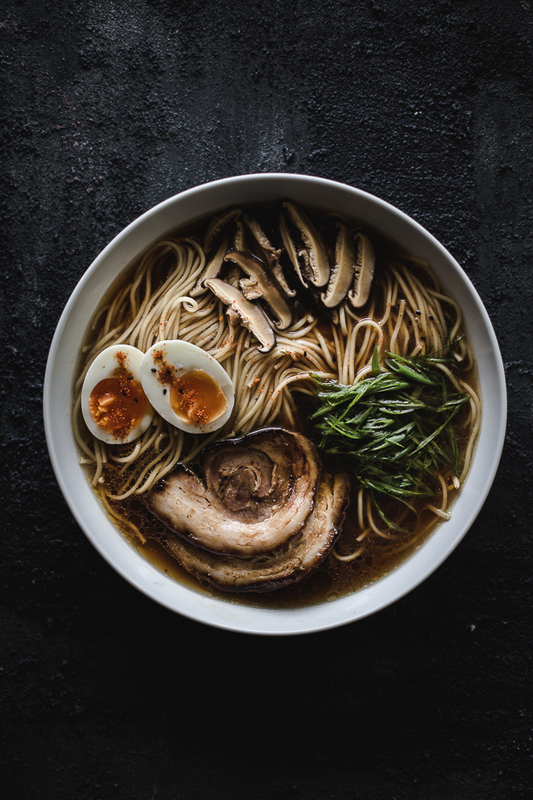 When it comes time to serve the ramen, remove the twine and slice the chashu into ¼ inch slices and reheat the slices in a pan over medium heat until the slices are hot. In a medium sized pot add the 2½ cups of water and kombu. Place the pot over medium heat and let it come up naturally. Just before the water comes to a boil remove the kombu from the water. Boiling the kombu can create a bitter and slimy textured dashi, and you don't want that. At this point add the bonito flakes and let the water come all the way up to a boil. Once it's at a boil drop the heat to a low and let it simmer for 1 minute. Remove the pot from the heat and add a lid to the pot. Let the bonito flakes steep in the hot water for an additional 5 minutes. Strain the dashi into a heat-proof container and discard the bonito flakes. To make the ramen broth. In a large pot or stock pot add the oil and heat over medium heat until very hot. Add the sliced garlic and fry until it begins to toast to a golden color. Stop the toasting of the garlic by adding the finely chopped shallot, and thinly chopped ginger. Season very lightly with a pinch of salt to draw the moisture out of the vegetables. Cook this until the shallots turn translucent. Be sure to keep an eye on the toasted garlic to make sure it doesn't get too much darker, reduce the heat if necessary to keep the garlic from getting blackened. Add the chicken stock, bonito dashi you just made, mirin, and ¼ cup of the soy sauce (reserve the remaining 1½ tablespoons for the end), and stir. Turn the heat up to high and bring to a boil. Once it begins to boil, reduce the heat to low and simmer with a lid on for 45 minutes to an hour. Add the remaining 1½ tablespoons soy sauce. The ramen broth is done. I would recommend boiling your eggs while your ramen broth is still simmering to save time, that way when the ramen is done you'll already have boiled and peeled eggs. You can apply this task stacking method with any of the toppings for the ramen. First start by bringing a medium sized pot of water to a boil. Add your cold eggs and boil them for 7 minutes. Remove the eggs with a slotted spoon and transfer them to medium sized bowl filled with ice water. Let them cool until mostly cooled. Peel the eggs when they're cool and set them aside. With the remaining water that you boiled the eggs in (or not if you poured it out, no big deal), boil your noodles according to package instructions. Pour the Hot broth into a medium to large sized bowl, add your noodles, your heated chashu (or other cooked meat of choice), a medium boiled egg sliced in half, finely chopped green onions, sliced shiitake mushrooms, small droplets of chili oil, and a sprinkle of togarashi. *HEADS UP* You can make the ramen broth a day or two ahead of time! If you choose not to make the chashu, fear not. It's not necessary to make this delicious soup. If you don't want chashu you can sub any other cooked meat or hearty cooked vegetable and it will still be just as good. Just ignore the directions on how to make the chashu if you're not making it. 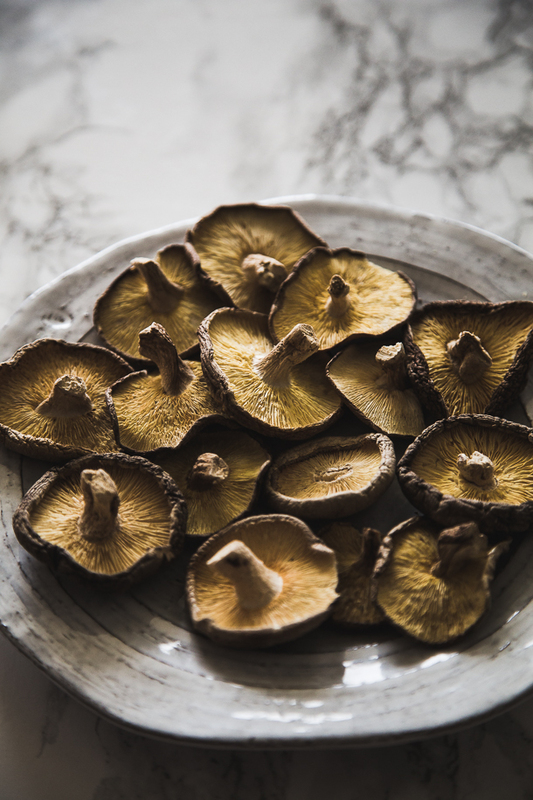 *As for the Mushrooms*You can rehydrate dried shiitake mushrooms by placing them in a container and pouring hot water over them to steep in, cover them, and leave them for 20-30 minutes. Then wring out the water and their good to go! I found my way to your blog today by researching food blogs created by students. I am happy to find your inspirational story and outstanding blog. Your pictures are beautiful, your recipes creative and appealing, and there are so many aspects about your compelling story that will inspire my high school students to blog in the classroom. I would be interested in following up with you about how to engage students for blogging in my Family & Consumer Sciences classroom. I teach a class entitled, Bon Appetit and it has mixed grade levels (9-12), learning abilities, and interests. 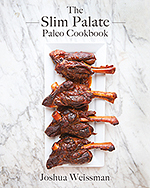 I look forward to reading more on your blog and checking out your cookbook! I wish you the best as you continue your story. Cheers. Yay! Thank-you kindly. As the school year winds down, I will email you to come up with some inspirational ideas for next year. Thank-you for your kindness. Wish you well in your endeavors!